Experience level. Intermediate. 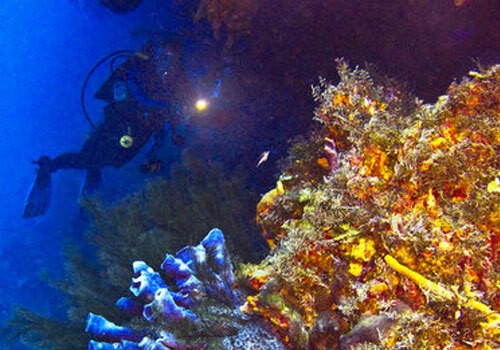 You can go as deep as you want and make this Scuba Diving Caribbean an advanced dive. 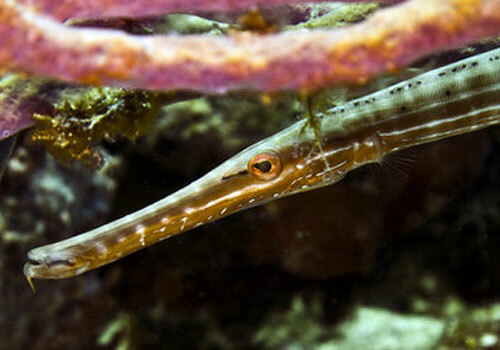 Although this is classified as a deep Cozumel Underwater Diving, Cozumel Palancar caves reef is usually done as a multi level drift dive and ends about 25' deep on the top of the reef. The reef slopes outward to the reef edge and deeply convoluted lip. The corals form tall towers, spires and buttresses, caves, gullies and canyons. Deep fissures run under the corals and sand slopes plummet into the depths. There are countless caves and canyons along this stretch of reef and you will never be able to see all of them even after several dives. 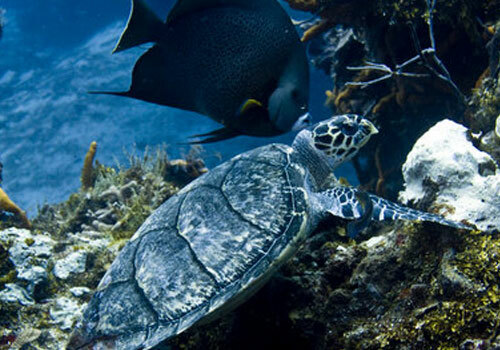 This reef is not rich with fish by Cozumel standards. The coral and sponges are the big show here. 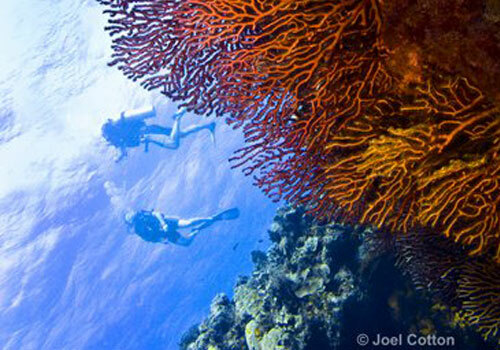 Buy Coral Reef Guide to learn about it, so that you don’t miss any. However, if you look closely you may spot a Butter, Indigo Hamlet, Shy Hamlet, a Red Spotted Hawk fish, in the lettuce or finger coral towards the top of the reef.